Posted in: Lyn D jewelry design, Necklace. 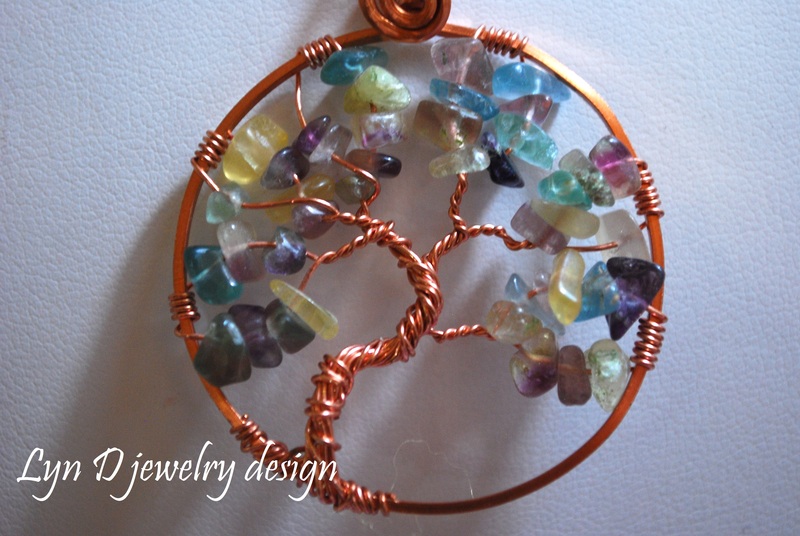 Tagged: copper, earthy, fluorite, Lyn D jewelry design, Lynette Vandeveer, moon, sun, tree of life. Naturally colored fluorite in purples, blues, yellows, greens; add copper wire, chain, with a sparkling sun and a full moon, and you have a beautifully earthy hand-crafted piece of wearable art. Yes, you deserve it. Mother Nature is calling.